Does He speak? Does He care about us? Can WE know Him? If you experience any stops during viewing, click your browser's BACK button and select a smaller video file. There is a source of hope and help for you and me, a book unlike any other in all the world. It is the most quoted, the most published, most translated book in human history. Known as the Bible, this book was written by more than 40 people from various walks of life, living over a period of 1500 years. Yet, as if the authors were guided by an unseen hand, there emerges from its pages one story of eternal proportions, centered around one extraordinary character… One who will deliver the world from death. Is there evidence that dinosaurs and man have existed together? Are there still living dinosaurs? Have you been told that the dinosaurs died off "millions" of years ago? Is evidence of dinosaurs existing with man being suppressed because it proves false prevailing scientific theories about the age of the earth and the origin of man and animals. When you look at the scientific evidence, it is consistent with what the Bible teaches. We do not use the Bible to prove science. The Bible is the ultimate authority. Our worldview determines how we interpret science. This 60-minute program is a compelling adaptation of Lee Strobel's personal journey from atheism to faith in God... a journey in search of the truth about intelligent design in the universe. During his academic years, Lee became convinced that God was outmoded, a belief that colored his ensuing career as an award-winning journalist at the Chicago Tribune. This documentary examines the Cambrian fossil record. Charles Darwin realized that the fossil evidence did not support his theory of gradual, step-by-step evolutionary development. He hoped that future generations of scientists would make the discoveries necessary to validate his ideas. Today, after more than 150 years of exploration fossil evidence of slow, incremental biological change has yet to be excavated. There is an opinion, common among scientists and intellectuals, that our Earthly existence is not only rather ordinary, but in fact, insignificant and purposeless. Utilizing stunning computer animation and the visual archives of NASA, the Hubble Space Telescope Institute, the European Space Agency, and leading observatories throughout the world, the program presents a spectacular view of our planet, galaxy, and the entire cosmos. within the grand scheme of the universe? “Unlocking the Mystery of Life” is the story of contemporary scientists who are advancing a powerful, but controversial, idea—the theory of “intelligent design.” It is a theory based upon compelling biochemical evidence. Through state-of-the-art computer animation, Unlocking the Mystery of Life transports you into the interior of the living cell to explore systems and machines that bear the unmistakable hallmarks of design. 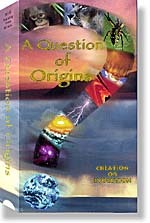 This video presents the entire content of Unlocking the Mystery of Life in a segmented educational format. Students may explore the theory of intellignet design, element by element, at home or in a classroom setting. For more than a century, Charles Darwin’s theory of natural selection has defined biology. Yet, today a growing number of scientists question its ability to account for the origin and diversity of life. This six-part series examines Darwinian evolution and presents a powerful challenge to its validity—the theory of intelligent design. Watch past CSSM Lectures online!